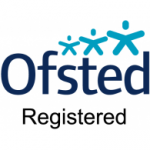 Hi, I'm an Ofsted registered childminder with 28 years experience. I live in a 4 bed detached house in Borough Green with my husband & one of my children. I am very reliable, flexible, approachable and professional. I offer excellent, good quality care in a happy, warm, loving, secure & stimulating home from home environment. Parents can rest assured that I will take great care of your precious ones, in my lovely safe, clean home, laughter & fun are a must. I love being around children & am committed to all aspects of children's emotional, social, and intellectual development. I keep numbers low so I can provide good quality care and attention. Parents can go to work happy knowing their baby is getting the best care possible and their baby's well being is paramount. I provide all food, drinks & snacks if required. I'm a five a day advocate & provide healthy home made food. I'm about 15 mins drive from sevenoaks and within walking distance of Borough Green train station & bus stop. I am available for childminding in Borough Green & surrounding areas. As well as being a Mum I have 28 years childminding experience. Setting up your Childminding Service. If you would like to reserve a place for future use I charge a small retainer fee of £50 per month. Or if you prefer I can take care of your baby a few hours a week up until your start date, which usually works very well as baby gets use to me and the new surroundings well before starting and settles very well. Payment can be monthly or weekly. Below are the latest reviews for HeatherG. Please note that reviews represent the subjective opinions of other Childcare.co.uk users and not of Childcare.co.uk. Parents must carry out their own checks and references on childcare providers to ensure that they are completely happy before enaging in the use of their services. Our daughter has been going to Heather for over a year now, and she is very settled and happy here. She jumps out of her pushchair every morning when we arrive and stands at the door ready to start the day. At the end of the day when we go to collect her she always has a great big smile on her face. They go a music group once a week, which my daughter loves, and they also spend time each day reading and looking through books. My daughter is very happy coming to Heather and I would have no hesitation in recommending her as a childminder. Heather has looked after our daughter (2yrs) since she was only a few months old. We have been very happy with the care and appreciate in particular the steady routine Heather established with her and the support with our daughters learning. We are also very grateful for Heather's flexibility and helpfulness in accommodating occasional changes to our schedule. Our child always seems to like her very much and to enjoy spending the day at her house. Our son has been with heather since he was 5 months old. I always feel at ease knowing he is in heathers care, whilst I go to work. He enjoys all the activities, especially the music class. When we come to collect him, he always has a big smile on his face so we know he enjoys being there. We could not recommend heather highly enough! Our daughter (now 11 months) has been with Heather for over six months now and we have been very happy with the child care. Heather is extremely reliable and conscientious and has helped us out a lot by being flexible and accommodating. Our child always seems happy and content when coming home from her child minder. Heather makes sure she does things with my daughter that she enjoys, such as musical toys and singing. My son Edward, 9 months, has been with Heather for over 3 months now and we are very happy with her work. Edward is happy to be left with her and i have no doubt is happy all day with her. I find her very easy to get on with and know she gives 100% attention to Edward throughout her day. Her home is warm, friendly and clean and i would have no hesitation is recommending her to anyone looking for a childminder.